The digital marketing space is a busy one, which is why leading digital marketing agencies like 3Q Digital are constantly on the lookout for cutting-edge technology that can help their customers’ online businesses grow. 3Q Digital has a proven track record of success across a number of key verticals – B2B, lead gen, EDU, private sale, as well as eCommerce. For eCommerce specifically, marquee brands such as GoPro, EA, Skull Candy, and Warby Parker put their trust in 3Q to vet & provide only those best-in-class marketing solutions, and we’re happy to join the mix. 3Q Digital has always specialized in SEO, SEM, social, display, mobile, design, and video, but with Fanplayr, 3Q is now equipping its eCommerce clientele with the ability to deliver real-time, targeted purchase incentives to specific segments of visitor traffic. Making the most out of visitor traffic by driving more online conversions at higher average order values is an area of interest for every online store, but the immediate value-add of our functionality is just the beginning. With the Fanplayr platform, 3Q can help its customer-base better understand exactly how marketing initiatives are leading to a lift in their bottom lines. For example, our analytics package makes key metrics such as Net Revenue per Visit visible to the eTailer – an important KPI as online traffic becomes more and more expensive to attain. Moreover, with an in-depth visitor segmentation engine, 3Q customers can see how specific visitor cohorts, search terms, and traffic sources (e.g. organic search, AdWords, affiliate networks) are performing. 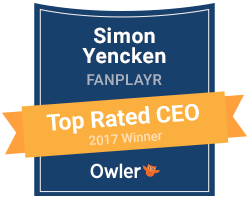 The Fanplayr – 3Q Digital partnership is an exciting one, and the synergy is profound. We both seek to demystify the process of earning business for online brands of all shapes & sizes. To learn more about this exciting opportunity, you can check out 3Q Digital’s blog. Additionally, we are holding a Lunch & Learn with 3Q at their San Francisco office on July 15 to talk about best practices in converting more qualified traffic. For more details, please feel free to contact us, and we will be happy to give you more information!